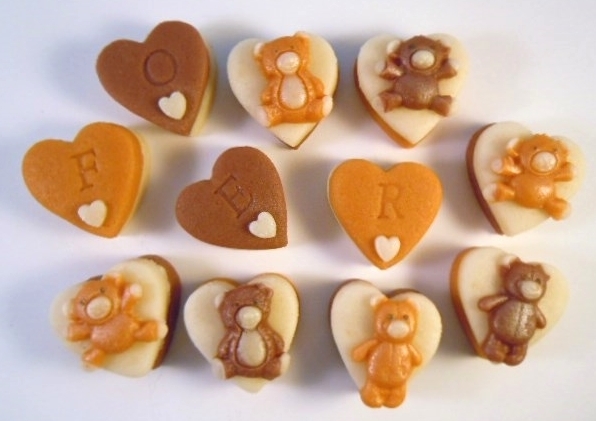 Cuddly marzipan teddies decorate these marzipan hearts making a tempting gift for any occasion. 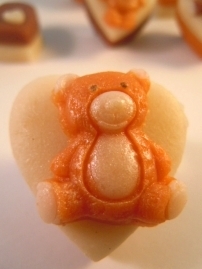 This design can be personalised with a message for an extra-special gift. Personalised Marzigrams® start at 16 hearts, but if you have more to say, why not go for a box of 24 or 48 hearts? Choose one of our standard messages from the drop-down menu, or select the option for "My own message" and write it into the free text box provided.